Topshop have gone luxuriously goth with their latest collection, The Damned, full of matt, velvet rich dark shades. As soon as I saw Plush I just had to try it out - I do love a plum lip, especially at this time of year - and the fact that it was a velvet finish intrigued me. 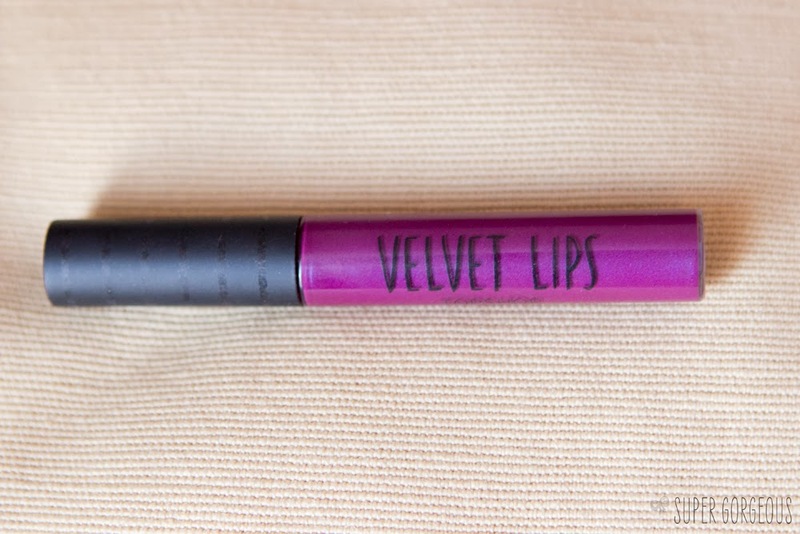 It looks fairly bright purple in the tube, with a tinge of blue, which is also evident as you apply it to your lips, but seems to fade away as it dries to a velvet finish, leaving your lips gorgeously matt and full of a berry colour that is a nice mixture between bright and dark. 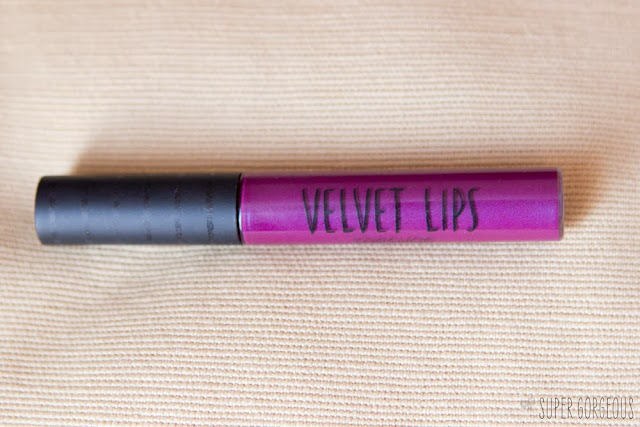 Because of the velvet finish, make sure you apply lip balm before you put the Velvet Lips on - the finish will show up any dry patches and feels slightly drying on the lips. On soft lips, it looks beautiful, and incredibly long lasting! Ooh this shade looks amazing on you! This looks amazing on you Alice! Love! UGH! I wish Topshop was more readily available in the US because I need this! Ahh I love the velvet finish, although it does look as if it may be a tad bit drying its so gorgeous at the same time.